Morning is like that. Everything is happened the day before. 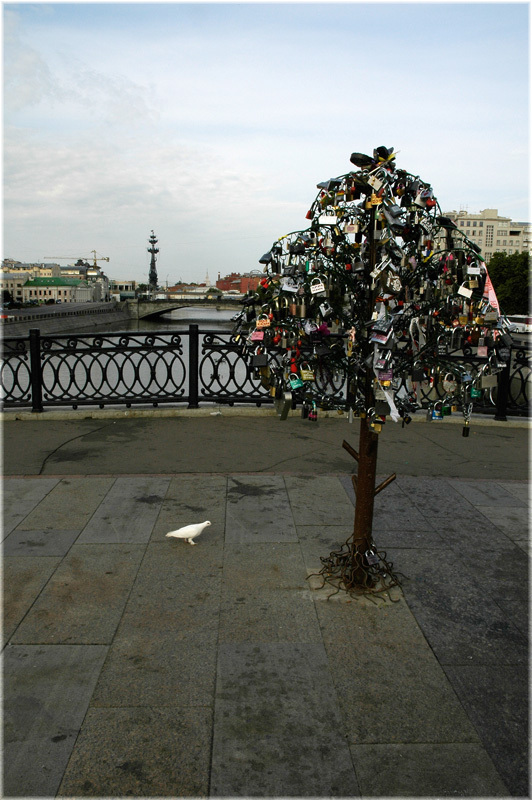 It's funny to look all over wedding padlocks. They could be absolutely different and there are a lot of them. Perhaps even overdose to my mind. They already don't fit into and several trees have been transplanted to the embankment.